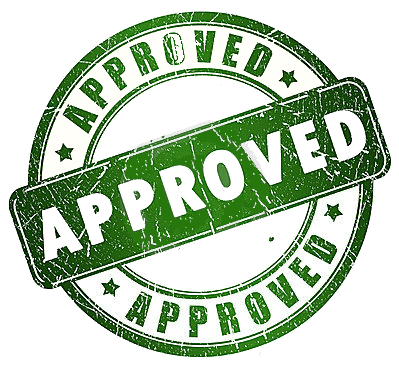 What are the benefits of FHA condo approval? Statistics show that approximately 60% of new homebuyers intend to use an FHA Loan. If your community does not have FHA condo approval, you potentially limit the buying pool to only 40% of homebuyers. NOTE: These are “regular” buyers – an FHA loan is not associated with low-income HUD programs, such as Section 8. In some counties, an FHA insured loan can reach amounts of $800,000.00 or more. Since the recession, most American buyers are using FHA insured loans, and this will be the trend for years to come. FHA approved Condos have a larger pool of prospective buyers, therefore increasing competition and demand for the product. This can result in higher purchase prices and an increase in market value. This will increase the value of units throughout the community. This means that in the future an FHA Loan can be assumed (including the interest rate) by a new buyer. With interest rates at an all-time low, this can be a very valuable asset to an HOA community. Some real estate agents won’t show units that aren’t FHA Approved. Being approved sets your community apart from others in your same area. Going through the FHA condo approval process gives your Homeowners the sense that you as a Board cares about the community and wants it to thrive. By avoiding the approval process it will hamper your owners when they go to sell their units. Generally speaking, Buyers who use FHA loans are more likely to reside in the unit, and not rent it out. Conversely, communities without FHA approval will attract buyers that can make large down payments. These buyers are usually investors who will rent the property for a profit. Board Members and Property Managers are expected to maintain property values in their communities. Several HOA attorneys advise that it is the fiduciary duty of the condo Board to apply for FHA condo approval to maintain or increase property values for residents. What are the cons of FHA Condo Approval? This is completely false! FHA Condo approval is completely unrelated to affordable housing programs. The FHA can insure loans upwards of $800,000.00 in some areas. Since the recession, most American buyers are using FHA insured loans, and this will be the trend for years to come. FHA loans are not Sub Prime Loans. Although they do offer lower down payments than traditional mortgages, there are credit score requirements, debt to income analysis, and income verification. Also, in 2009 FHA loans made up about 2% of the loan market, in 2010 they were up to 40% and climbing. If you or anyone you know lives in a condo development, call me today!